On a recent project we were discussing using Corten steel wall to create and interesting modern look for an Eichler home. Corten is a really visually interesting material- a special type of steel than forms a layer of rust and gives a unique look for landscape art and retaining walls. It’s expensive, but can make a great accent for modern gardens or in areas where the thin look of a steel sheet provides design interest. 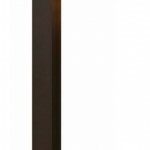 Hinkley is a less often specified light by most designers and landscape architects, but they have a very unique line of low voltage landscape lights that are more cost competitive than other boutique outdoor lighting brands (Hunza and BK we are talking about you). 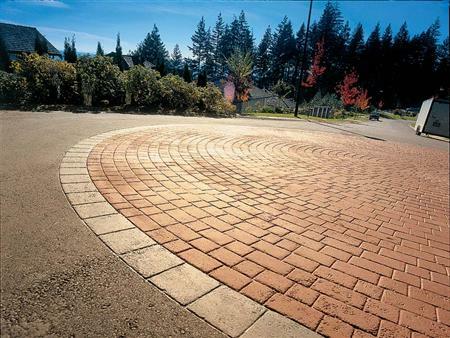 For most residential paver installations there a few usual suspects that are installed from manufacturers such as Calstone, McNear, Belgard and others. While there are lots of nice styles from these manufacturers, sometimes a different look is desired. Wausau Paving specializes in pavers that are better suited for modern projects or commercial applications, but for some installations these pavers would provide welcome relief from the usual suspects. First, just like picking paint colors, remember that colors can sometimes look different when applied over a large surface or area. The concrete color should tie to into the scheme for the overall hardscape, landscape and architecture. Colored concrete is a variable product that can vary depending on a number of factors when the concrete is mixed and poured. 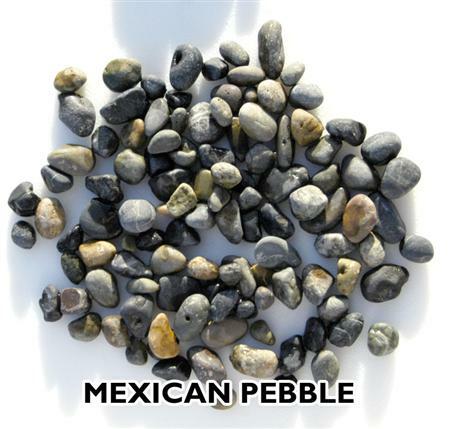 Some color variation is normal. 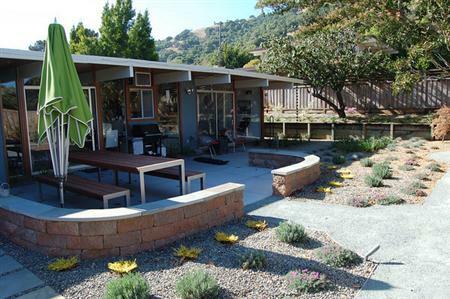 Like all things outdoors, colored concrete will fade in the sun over time. 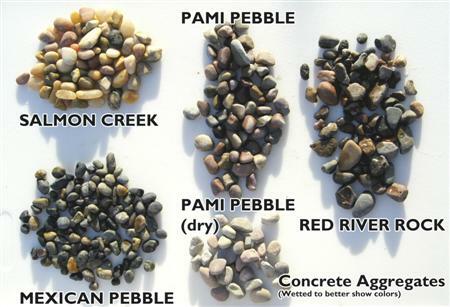 Davis Colors has a nice website showing sample images of its various concrete colors that can help make visualization easier. 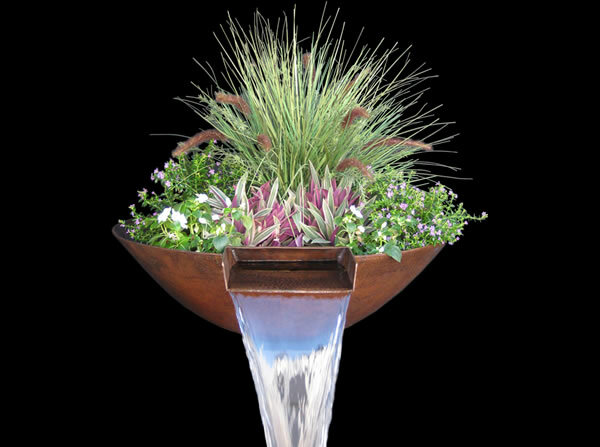 Grand Effects has a Plantier that incorporates a planter and spilling water bowl for eye catching results. Fountains Unique also has an interesting line of spilling fountain bowls and many other wall and freestanding fountains that are worth a look. With the increasing options available with synthetic turf, and the environmental benefits of not requiring watering, mowing, or fertilization, more people are considering synthetic turf alternatives. Italgreen is product now being carried locally that combines the benefits of removing natural turf, with an environmental material construction. Many of the current synthetic turfs combine various types of plastics to simulate a natural grass blade. There are some environmental concerns (most specifically with lead- see this Chronicle Story) with the long term effects of leaching or runoff from these products. The manufacturer touts a number of benefits to their product. This type of turf has is constructed of a more environmentally friendly yarn construction, instead of plastic based blades. 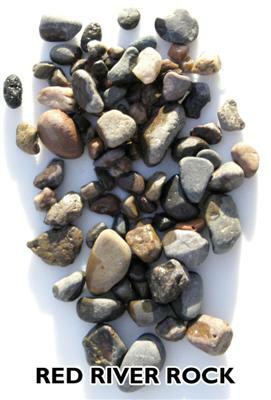 It also uses an organic granule infill instead of recycled rubber infill pellets. The results are a non toxic material, with better heat absorbtion and a softer feel. As energy conservation and efficiency become more and more prominent issues, there are increasingly alternatives for low voltage landscape lighting. Vista Professional Lighting, one of the widely available low voltage landscape lighting manufacturers we use, has a great variety of options for lamp types, including LED bulb options. LED are a great alternative to halogen, xenon or other bulb types. Like the more and more common compact florescent bulbs (CFL) used indoors to replace the standard filament light bulb, an LED fixture can use 75-90% less energy than a conventional lamp for the same light output. LEDs also have the advantage of a much longer lifespan, 5-10x longer than other lamp options. These fixtures can be more expensive, but the benefits of increased life span and reduced energy consumption help mitigate the initial cost of the fixtures. Good gate hardware can be difficult to find. 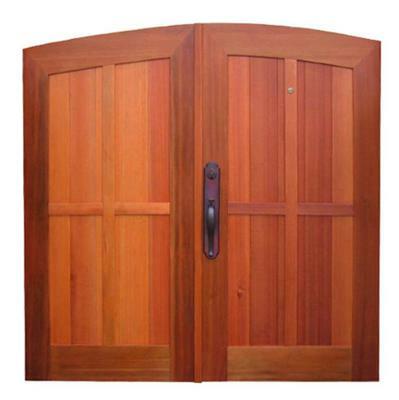 Rocky Mountain Hardware has some of the best gate hardware currently available, with a wide variety of styles and finishes to choose from. Quality comes at a price however. The latch sets can run from $500-$1,000, as these are the same grade and type of forged brass latches featured in Rocky Mountain’s regular hardware line. There was an article recently in the Chronicle detailing the Bay Area Air Quality Management District’s new set of rules design to limit emissions from wood burning fireplaces. While outdoor cooking itself is not directly regulated by this rule change, many municipalities have recently made the requirements for outdoor fireplaces more strict. – Limits excessive visible emissions from wood-burning at all times. wood, waste petroleum products and other inappropriate materials. Fires used outdoor for residential cooking won’t be regulated. 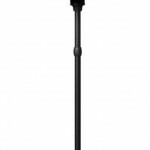 The Chronicle had a small article over the weekend about an interesting electric patio heater with a style different from the typical stainless steel gas patio heaters. Blue Rhino, who will probably most familiar to people as the company that does propane tank exchanges for Barbeques, has a new line of the electric heaters coming out soon that give another option for outdoor heating when gas may not be practical. Blue Rhino’s New Orleans patio heater. Photo courtesy of Blue Rhino Global Sourcing Inc. Doing some research for local suppliers for a statue for a Zen/Asian style garden, we stumbled up Routes Gallery in San Anselmo. 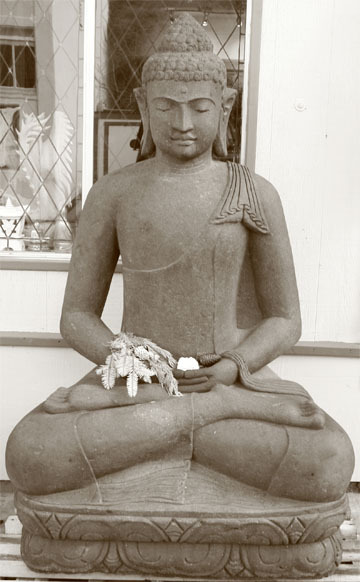 Their intimate store front in San Anselmo has all sorts of stone, concrete, and wood Buddhas and other statuary that would work well as garden accents. Definitely worth a look if you need an interesting accent for an Eastern style garden. 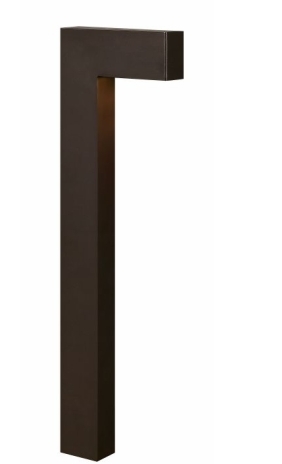 Selecting a Landscape Light- Which Brand? 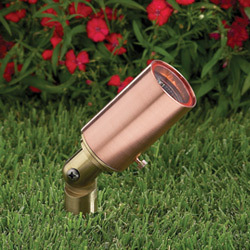 FX Luminere: A great selection of high quality copper landscape fixtures. 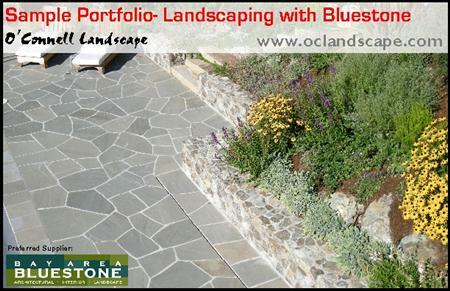 Classic landscape styling and application types. Hadco: Specializes more in commercial lighting and fixtures, but does have a residential landscape line tending toward more utilitarian and modern styles. 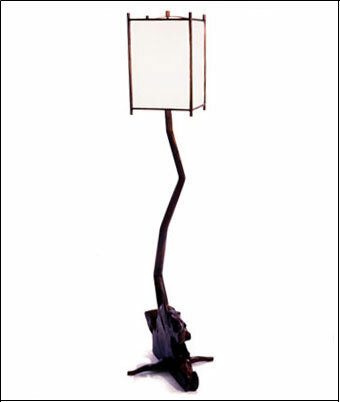 Unique Lighting: Low voltage landscape fixtures with Brass finishes and craftsman inspired styles. 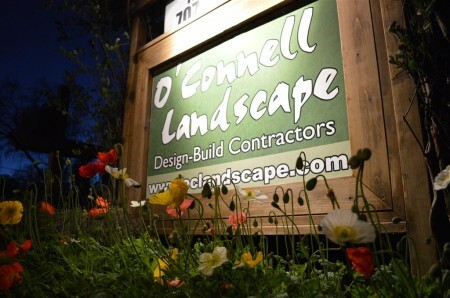 Kichler Lighting: Makers of light fixtures and landscape lighting fixtures. Landscape line has more variety and ornate and custom fixtures for specialty applications. 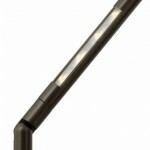 Lumiere Lighting: Line and Low Voltage fixtures by this Cooper Lighting subsidiary. 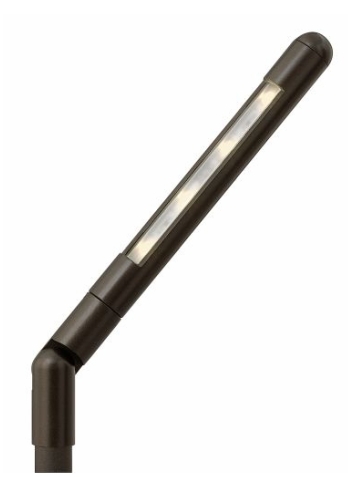 The Lumiere line features sleek, modern fixtures in different metal finishes. 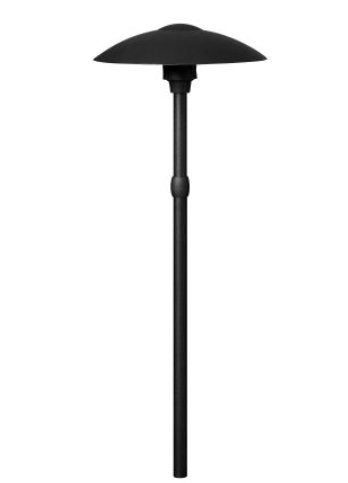 BK Lighting: Featuring modern styles and customizable options with many different bulb options. Hinkley Lighting: Beautiful detailing and metal finishes are available in their landscape line. 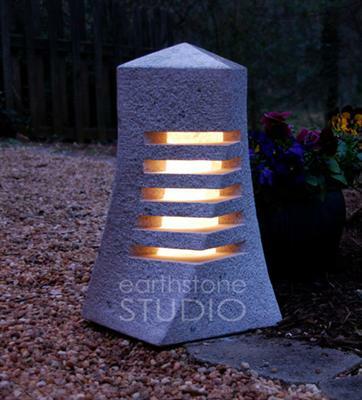 I received a catalog recently for Earthstone Studio, a stone fabricator out of Georgia, which has some very interesting natural stone fountain designs. 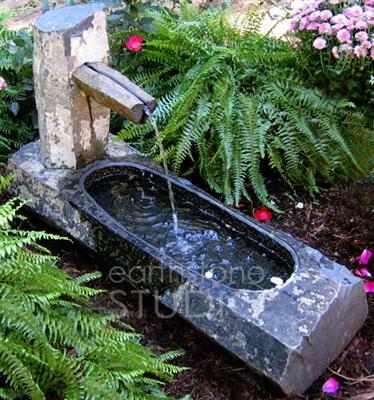 In addition to fountains they also supply granite garden statues, lighting enclosures, planters and stone furniture. Definitely worth a look as another option in natural stone materials. 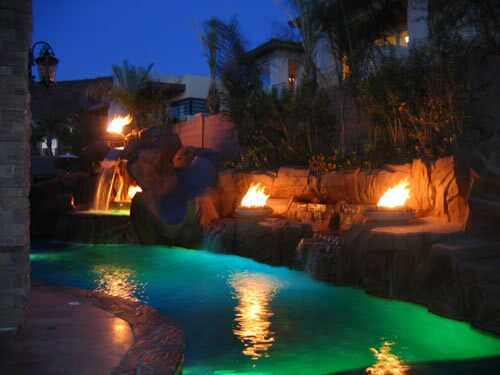 Garden Design Online had interesting post about Fire by Design, a firm from Las Vegas, that specializes in design and component systems for remote controlled fire accents for water features and other landscape applications. We have also seen an increased interest over the past 5 years in inclusion of fireplaces, firepits, and outdoor kitchens as the most popular landscape accent items. I wanted to put in a plug for a fellow San Luis Obispo Alum and amazing artist and woodworker from the San Diego area Aaron Smith. His furniture out of beautiful natural woods like California Walnut have an interesting and dynamic quality that are definitely worth a look. He’s open to commissions as well, so who knows, maybe he can be convinced to create a unique custom outdoor patio seating or table for the garden. 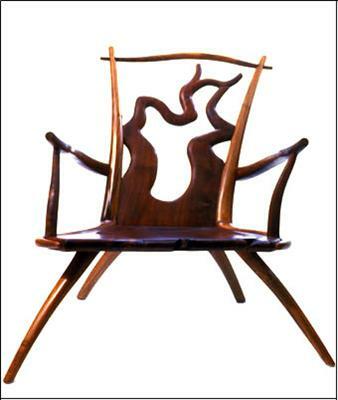 I posted an entry earlier in the week about Design Within Reach, which specializes in modern furniture. 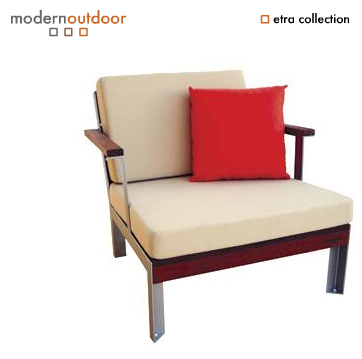 One of the example images I posted actually came from Modern Outdoor, another supplier of outdoor furniture that has interesting designs for tables, chairs and other outdoor furnishings. 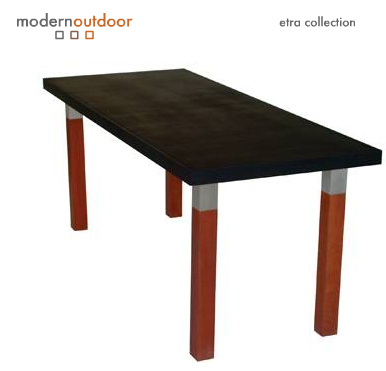 Images below: Outdoor dining table with benches, Large plastic chair and modern ottoman. 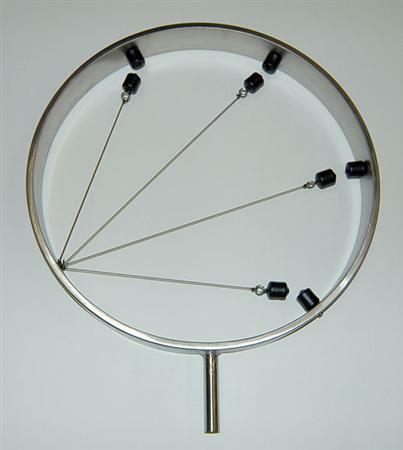 Gray, uses high powered magnets to suspend cables in a stainless steel hoop. 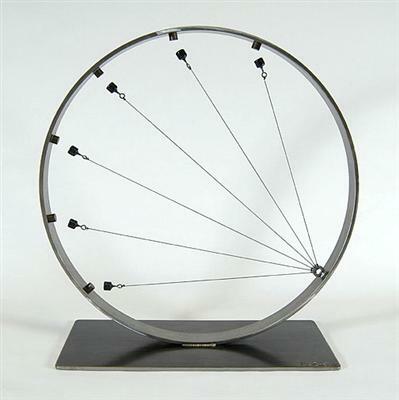 appeared in various television shows and movies. 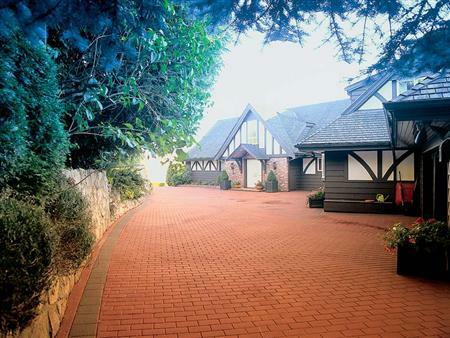 There are a wide variety of options available for driveway paving. These can be a traditional plain concrete or asphalt, or a host of derivatives- decorative finished concrete, stamped concrete, pavers, and resin bound permeable earth pavements are popular alternatives. Colored stamped asphalt is another option when looking at paving options. Similar in appearance and pattern availability to stamped concrete, stamped asphalt is created with patterns that are pressed into the asphalt, and then coated with an acrylic color coat. The result is a fairly cost effective twist on regular asphalt. Patterns and colors are similar to concrete stamps, with brick, stone and paver style patterns available. 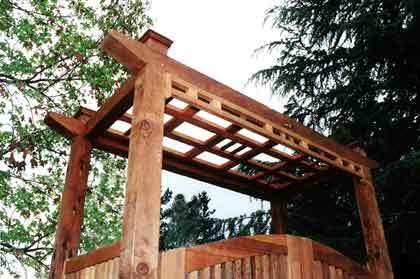 The Garden Design Online blog had an interesting post on some different styles of prefabricated trellis and arbors. We have always had mixed feelings about these. 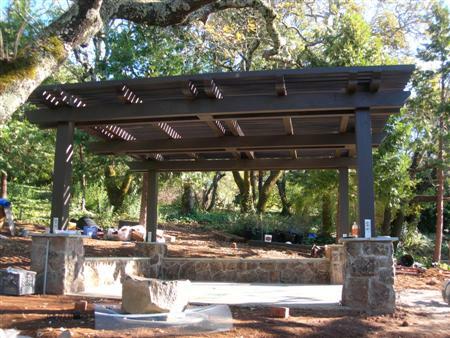 While in many situations they make nice accents for plants to be trained upon, they don’t have the substance and construction to make a focal point in the same way a custom build arbor/pergola/trellis does. 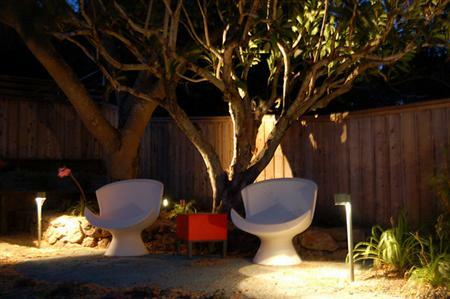 On the other hand they are a much more cost effective way to add a vertical element or accent to the garden. The larger kits available for bigger structures have always been a bit subject as well. Frequently these are white vinyl and can’t match the detail or look of wood. A solution for something ready to assemble on-site maybe a custom woodwork shop like Charles Prowell Woodworks that ships nationwide. We got a flier in the mail from a local materials supplier, stating that they were changing billing methods for bulk materials (gravel, sand, soil, bark). Instead of charging by the traditional volume measure of cubic yard, they were switching to a Loadrite system, whereby as materials are loaded with a tractor they are weighed by the pound. On the face of it, this seems like a good thing, using the old system, depending on the tractor operator, you could receive a lot more or less than a cubic yard. The supplier touts improved satisfaction and quicker loading. After thinking about it for a while, one critical problem seems to arise- what happens when the materials are wet and can weigh substantially more per cubic yard? I would guess that a cubic yard of sand that is wet could weigh at least 20-30% more than a dry yard of sand. Doesn’t that mean that materials will cost more in the rainy season and less during the dry months if they are uncovered? Unless they have a way for compensating for this fact, this works out to be very convenient for the materials yard, while increasing the cost of materials. We recently received a flier from Williams Gate Works out of Santa Cruz, a maker of wood garden and entry gates. They specialize in mortise and tenon construction and have some interesting style prototypes to choose from. A custom gate can give that unique touch that really sets off an entryway- definitely worth a look. Not all materials are created equal. Here are some of our favorite materials for inclusion in landscape designs. Flagstone- Bluestone: Available in a wide variety of shapes and sizes (irregular, precut, custom slabs), Bluestone works well with most color schemes. It is available in blues and grays (select blue), or in a wider range of range of browns, purples, blues and greens (full range). 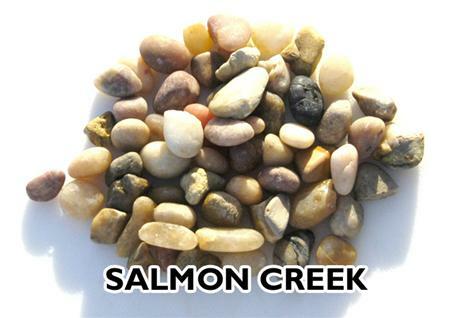 Makes great stone for wall caps, patios, pool coping, BBQ counters, flagstone pathways or just about any other place stone can be used! Wood- Ipe (aka. 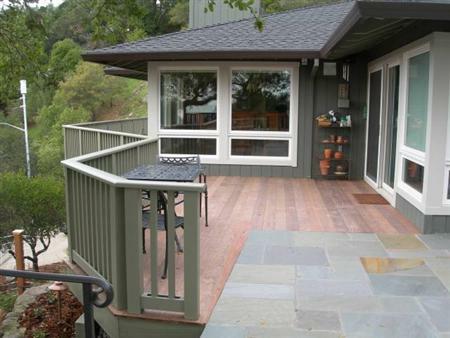 Brazilian Walnut, Pau Lope): Incredibly dense and durable wood is the new in vogue material for deck construction. For good reason- it’s several times harder than redwood (also referred to as Ironwood) and has a usable life span up to 40+ years. For those who want to stain (and maintain with recoats every 1-2 years) it has a finished look of mahogany. 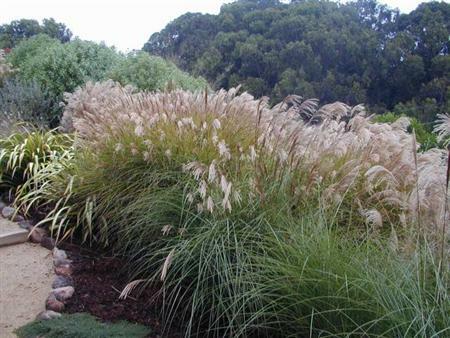 Plants- Ornamental Grasses: This class of plants is also quite in vogue, allowing for creative massings and quick impact. Our favorite varieties- Purple Fountain Grass (Penesetum), Miscanthus, Deer Grass (Muhlenbergia), Fescues, and Sedge (Carex) varieties. One of the problems with new landscape installations is just that, they’re new, nothing has the character or patina of age. A good solution to this is to find unique accents that can give a new project some character. Artefact Design & Salvage located in the Cornerstone complex in Sonoma, is a great place to find interesting accent pieces from around the world. 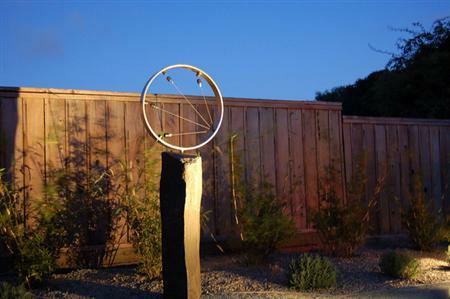 Artefact imports garden and objects that can make interesting design features in the garden. Whether you are looking for objects d’ arte or something shabby chic, they have a little bit of everything. Seeded concrete aggregates give a good alternative to basic broom or exposed concretes and are commonly used for walkways, patios and driveways. 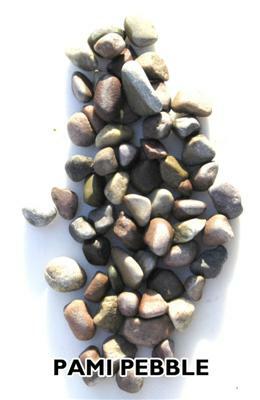 Seeded concrete is a process by which small decorative stones are embedded into prepared concrete. The top layer of the concrete is then washed away exposing the stone color. 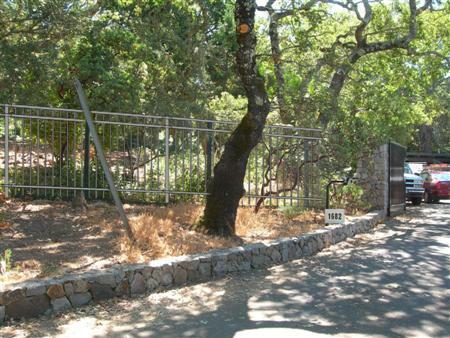 We are currently working on a project with Ornamental metal fencing around the perimeter of the property. 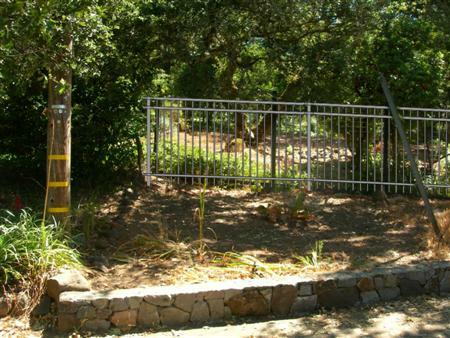 Metal fencing is typically done by fencing contractors because it requires welding that is typically out of the purview of landscape contractors. Ameristar is one of the larger manufacturers of modular ornamental fencing. This fencing comes in a variety of heights (3,4 and 6 feet) and styles- multiple rails, different ornamental posts and caps. It is frequently used for perimeter, pool and front frontage/entry fencing. The fencing comes in 3 or 4 colors per style and typically powder-coated at the factory.